Snakehead Fish is a kind of predatory fish that live in fresh water.It is known that this fish is very rich in albumin, a type of protein which is important.This kind of fish is prepared in curries and soups. Here is a simple gravy recipe of this fish without adding coconut to it. It tastes awesome with rice and idlis. The oyster mushroom, is a common edible mushroom. there is a huge amount of health benefits of Oyster Mushrooms. They are high in protein, fibre and iron, and contain significant levels of zinc, potassium, calcium. These oyster mushrooms constitutes a perfect replacement for non veg gravy. This is prepared in a very easy and simple way. 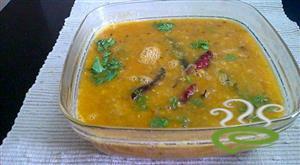 Punjabi style pumpkin curry is very famous dish with sweet and sour taste. This is an authentic punjabi recipe. pumpkins are cooked to soft tender with spices and heated up along with tamarind , aumchur and sugar. This dish is mouth watering and goes well with roti, rice etc. Rava vadas are very easy to prepare . There is no necessity of hours of soaking and grinding is required they can be prepared instantly when ever decided. Rava vada are a deep fried snack made of semolina, yogurt , onions and other basic ingredients. Very tasty and instant rava vada can be prepared in desired shapes. They are very crispy and crunchy to taste. 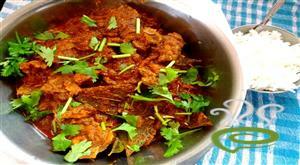 Mutton Pepper gravy is a delicious Indian recipe served as a gravy for tiffins. it gives good combination with puri. mutton lovers will have this recipe with puri. the taste, colour and texture of this recipe is good. 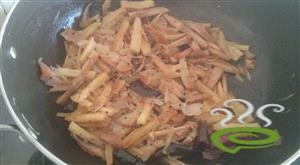 Tapioca with Sautéed Onions is a different style of dish preared with tapioca and onions. This is a perfect side dish for, rotis, chappathis even with rice. 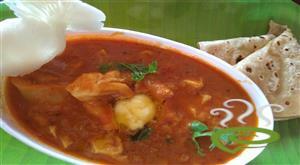 This is a simple curry where in the boiled tapioca is sauted with spices and onions. 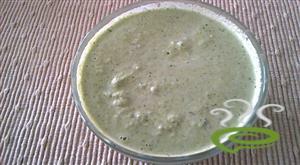 Coconut Curry leaves chutney is one of the tasty and healthy chutney prepared as a side dish for idli, dosa etc. The flavour and aroma of this chutney is out of the world. Curry leaves has lots of health benefits. Andhra style tomato dal where pigeon pea lentils are cooked with tomatoes and other spices-herbs. This is slightly tangy and a flavorful too. This dal mixed with ghee and rice with Mango Avakai is a dearly loved combination and an integral part of everyday Andhra vegetarian food culture. This is also one of the Kofta recipe. this recipe is a delicious preparation beetroot and potato balls with bread. This recipe of kofta is a healthy twist to the traditionally deep fried kofta recipes that you would make. Spicy Mutton Pepper Fry or Mutton Milagu is a simple and Easy to make Recipe, this recipe give good combination for sambhar sadham/ sambhar rice. the taste of this recipe is delicious and too hot. 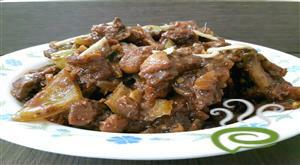 This is very traditional recipe which all non vegetarian likes. This is very tasty and good in texture and yummy taste. This is very famous in karaikudi and it’s much hit worldwide. 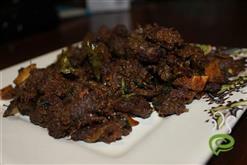 This chettinad chicken is prepared with fresh aroma masala is hit for this recipe. This chicken is cooked zero water which mean no water is added only with chicken and it’s cooked with its own water. It’s good.